Two days before Pres. Duterte delivers his third State of the Nation Address, private homeowners, barangay officials, renters, and urban poor residents embodied by the Sampaloc Peoples Alliance (SPA) paraded early this morning around Sampaloc in Manila to make fellow residents aware of the perils posed by the NLEX-SLEX Connector and the Philippine National Railway (PNR) North-South Railway Project. 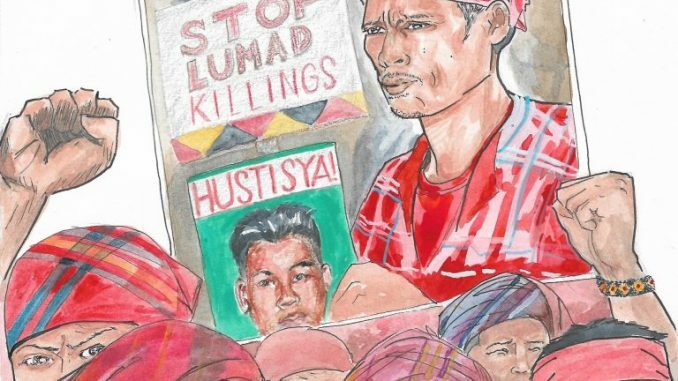 The Sampaloc People’s Alliance organized the ‘unity walk’ as invitation to the United July 23’s United People’s Sona, a gathering of thousands to register dissent against Pres. 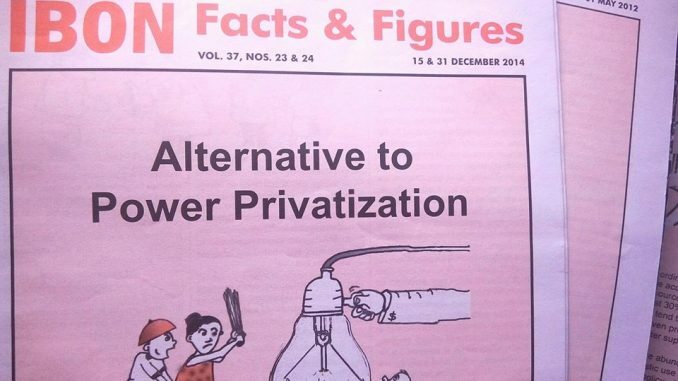 Duterte’s various anti-people policies. The SPA sees Duterte’s ‘Build Build Build’ program as an infrastructure scheme to let in private businesses into residential communities at the expense of people’s right to housing. 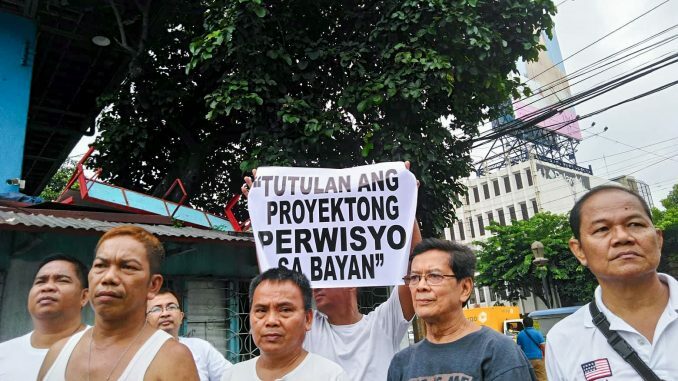 Sampaloc residents hold a ‘unity walk’ to make neighbors aware of the government’s ‘twin project’ which will demolish thousands of homes. Photo by Precious Alyssa Anacta. NLEX-SLEX Connector and the Philippine National Railway (PNR) North-South Railway Project, dubbed by the government as a ‘twin project’, will supposedly lessen travel time and ease traffic in the metropolis. It may be recalled that Duterte promised that there will be no demolition under his watch. But for Sampaloc residents, this has been proven an empty insinuation. Homes and small enterprises covered by 38 barangays in Manila are in danger of being demoished to pave way for the infrastructure project under Duterte’s Build, Build, Build! Program. Thousands of families will be displaced and evicted from their houses and few will be relocated in areas far from their workplaces. 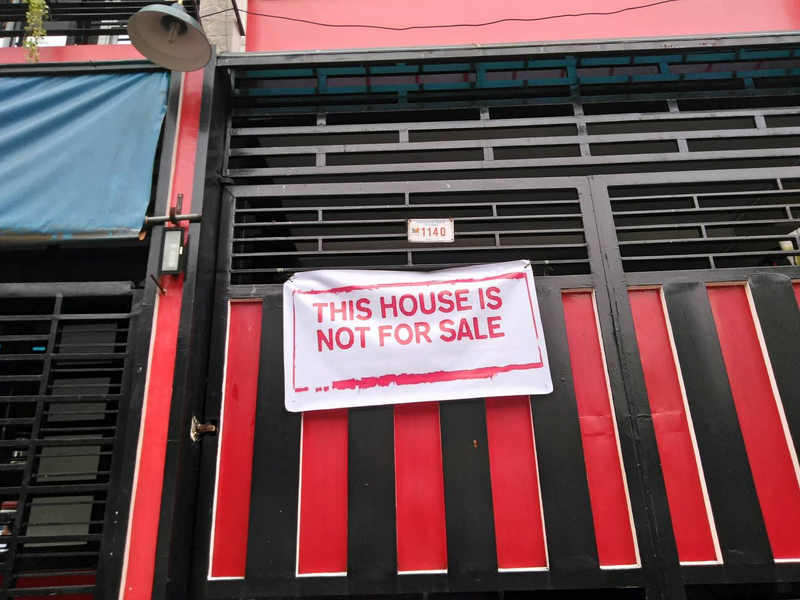 Some houses are said to have stood for more than seven decades already where pioneer residents have settled in the Sampaloc area. The unity walk started early in the morning along Antipolo St. where the houses that will be affected by the ‘twin project’ are situated. The participants, including barangay officials and professionals, dressed in white to highlight their chaste call to the government to stop the construction, review the project, and impose legislations to implement the project sans affecting existing communities. Participants of the unity walk were composed of homeowners, barangay officials, and professionals. Photo by Precious Alyssa Anacta. Participants to the ‘unity walk’ posted signs on the gates of homes to register their disagreement to the ‘twin project’. Photo by Precious Alyssa Anacta. On July 23, simultaneous to Duterte’s SONA, SPA will submit a petition letter to the House of Representatives to appeal to the administration to review the project, reconsider and take legal actions in improving the mass transport system without the demolition of entire neighborhoods. They continue to amass signatures for their petition to stop the construction of the ‘twin project’. “Handa kaming makipagdayalogo sa pamahalaan hinggil sa mariin naming pagtutol sa mga proyekto nito,” said Isaac. “Hindi kami mapapagod na lumaban para sa karapatan namin sa paninirahan. Patuloy kaming magkakaisa para sa mga susunod pang mga hakbangin ng aming laban,” he added. 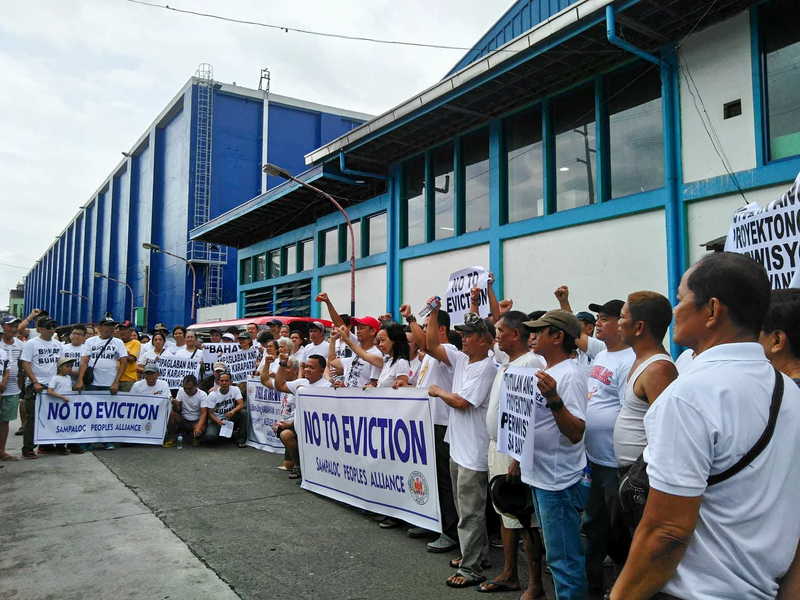 The post Sampaloc residents conduct ‘unity walk’ vs massive eviction appeared first on Manila Today.